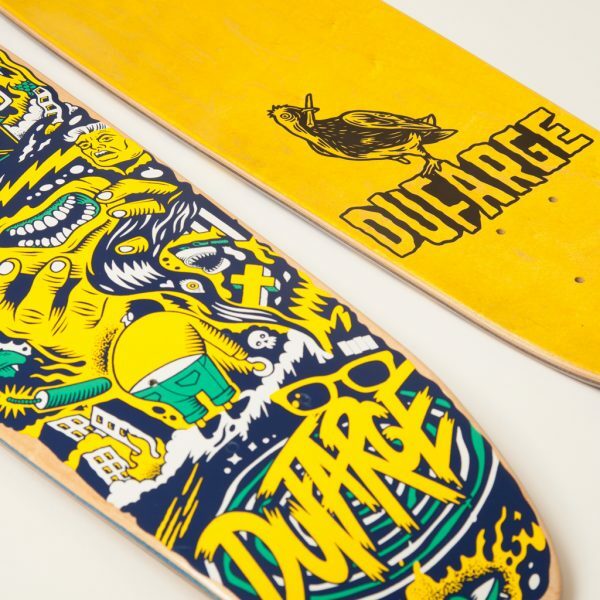 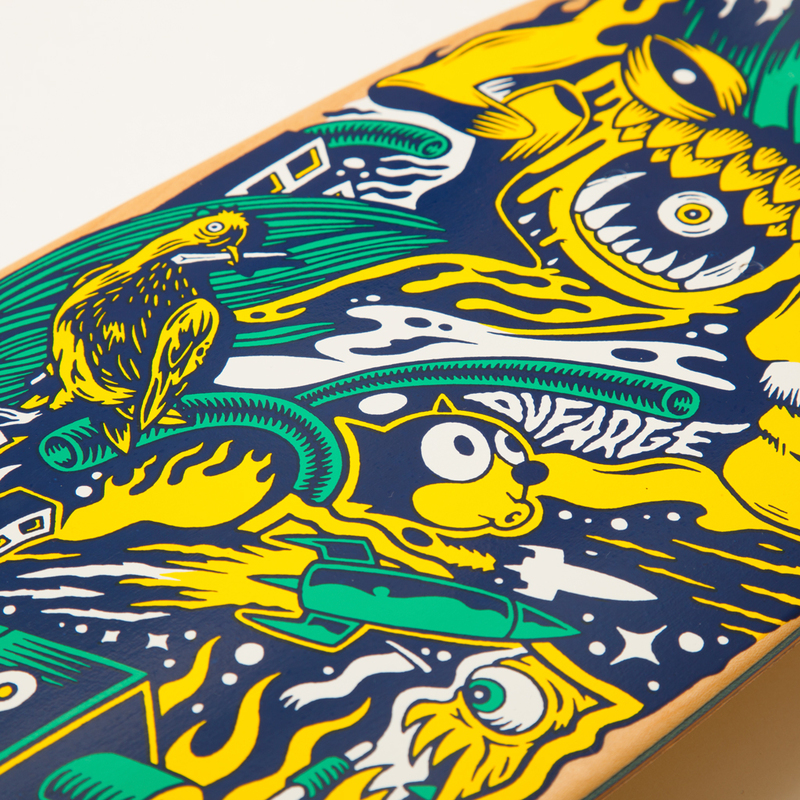 Round two for our succesful cruiser with a new graphic by our pal Michiel Walrave. 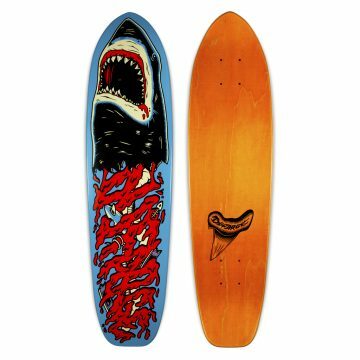 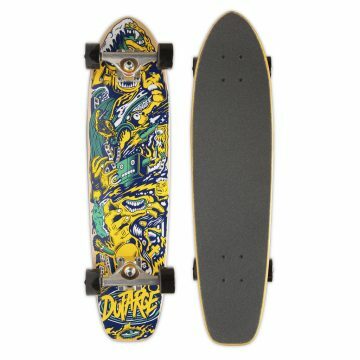 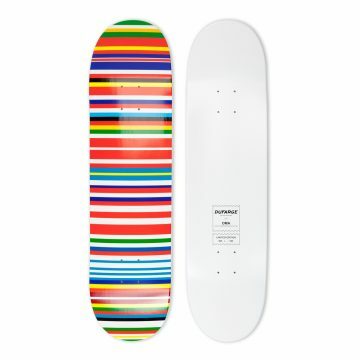 Perfect for traveling big city streets, cruising around the local park and attacking spots along the way. 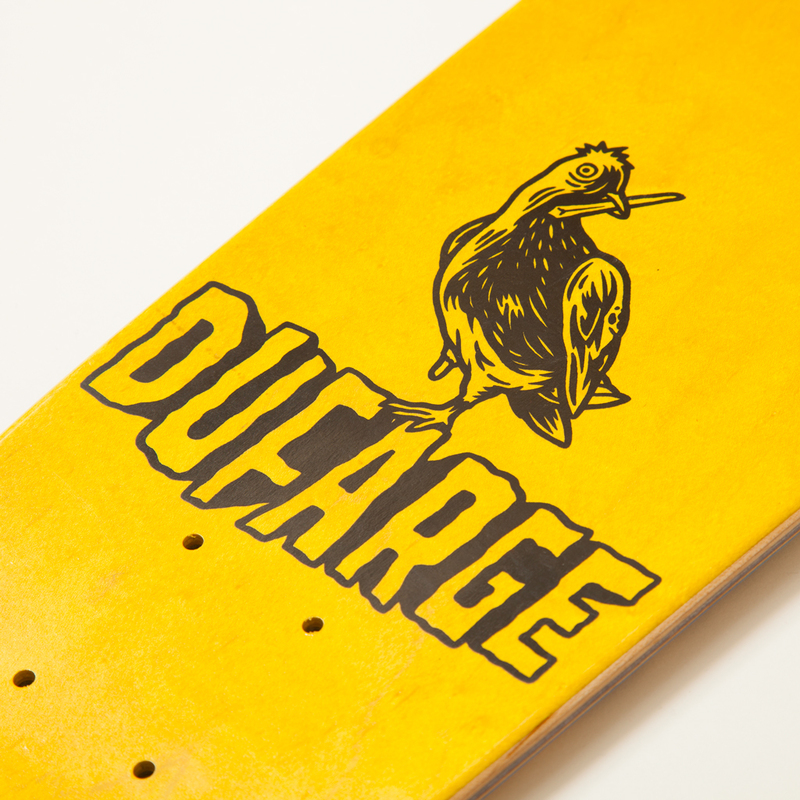 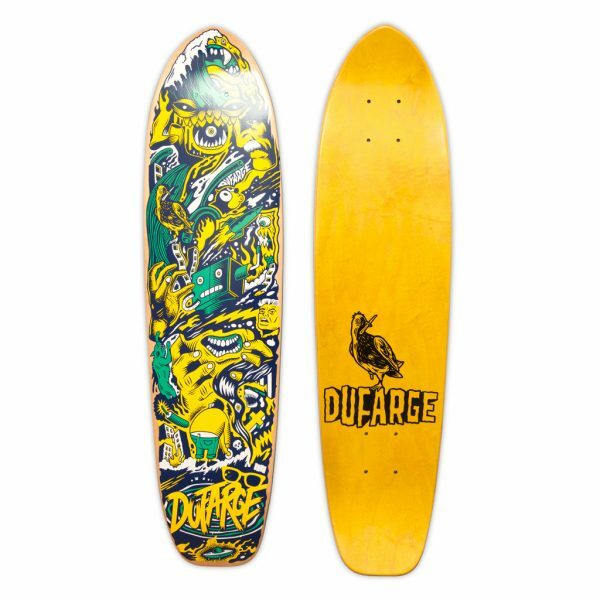 The board has seven layers of Canadian Maple and a small kick nose and tail for some new school fandangle.